Technology is advancing day by day and it’s being helpful to every profession. Today there are software tools and mobile apps that are designed for almost every profession, including artists, doctors, engineers, lawyers, and more. How can the field of chiropractic remain untouched by technological advancements? So, chiropractors among you have the good news that now there is an extremely advanced technological solution with which you can improve patients care, automate operations and increase profitability. 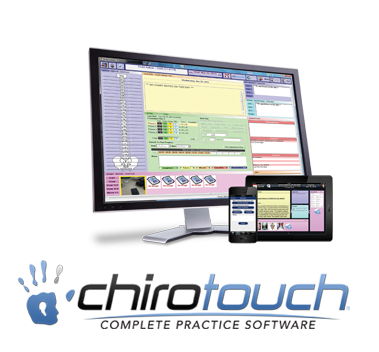 This wonderful tool is ChiroTouch, the amazing chiropractic scheduling software, by Integrated Practice Solutions! 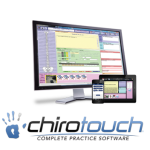 ChiroTouch is software that empowers you by giving you more time with your patients, confidence in your ability to run your practice successfully and a great peace of mind because you partner with the industry leader. ChiroTouch is designed keeping in mind the unique needs of a chiropractor’s practice and has been preferred by thousands of chiropractors to other EHR software or paper-oriented practice. ChiroTouch EHR Practice Management Software: This is a platform that offers you efficiency to find and retain patients, build income, remain helpful and promote growth in practice. It offers you a whole set of choices for patient engagement, automation, marketing and much more through CT services. The software uses advanced mobile technology that includes apps and compatibility with iPad and other mobile gadgets. You can watch how ChiroTouch is of immense help in keeping you organized with your new patients, daily visits, patient management and billing, outcome assessments and medical EHR stimulus program, on ChiroTouch.com. SmartCloud Chiropractic EHR Software: With this software, you get an easy and secure access to your patients’ information anytime, anywhere. This saves great money for you because it eliminates the need of buying and maintaining hardware. It has great features that help you manage the multiple aspects of a chiropractor’s practice. Both these options offer excellent training and support and both are HIPAA compliant and ICD-10 ready. Integrated Practice Solutions is aimed at building and assembling the best technologies that can ease the burdens of medical practice and can offer a more rewarding patient and practice experience. They are committed to deliver the best technology and guaranteed high quality training and support to their clients.